The popularity of essential oils has made them the go-to natural remedies for pain, inflammation, infection, hormone imbalance, and to calm nerves without causing severe side effects. Knowing which oil works best for which ailment is key in having a good and quick recovery. So, we will concentrate on which essential oils are good for pain, as well as how to properly use them as their components can be quite potent. Chronic pain is usually caused by inflammation and poor blood circulation. Essential oils address these and other pain-causing conditions with analgesic properties. Analgesics are known as pain relievers, and they work with other components in the oil to treat other existing symptoms. These are the other natural properties of essential oils. Anesthetic: Offers a numbing sensation as it lowers the pain of the affected area. Sedative: Gives a calming effect on the pain-affected region by settling any irritability. 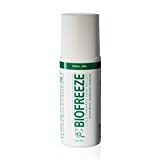 Anti-inflammatory: Combats tissue swelling in muscles and painful joints. Antispasmodic: Interferes with spasms caused by nerve and muscle injuries that trigger pain and cramping. Antirheumatic: Focuses on the inflammation and pain of the joints caused by musculoskeletal disorders. Carminative: Reduces muscle cramps and pain by dispersing the build up of gas in the gastrointestinal tract. Decongestant: Clears mucus and fluid accumulation in the upper respiratory tract to treat pain in the nasal and sinus cavities as well as headaches. Antimicrobial: Combats harmful bacteria and microorganisms to reduce pain from infections, boils, and sinus congestion. Antidepressant: Helpful in reducing pain in addition to treating depression. Physical pain is felt as a result of a physical injury or trauma, as well as emotional trauma from fatigue, stress, and anxiety. The old saying, “mind over matter” can play a big part in many ailments because of this connection. Whether the pain is mild or severe, and whether it stems from emotions or physical attributes, essential oils pain relief options may be able to make a painful life more bearable. For years, the sedative properties of lavender essential oil have been used for its calming effect on stress. It has anti-inflammatory and analgesic properties as well to treat pain from tense and sore muscles. With all of these natural components, lavender oil is considered as the go-to essential oil for pain. Lavender oil can be used to combat headaches, body aches, stomach issues, gas pain, liver problems, kidney problems, and loss of appetite. It can also reduce the pain and anxiety associated with fibromyalgia, a debilitating musculoskeletal condition. Chamomile is often used in tea form to induce sleep or to help you unwind after a stressful day. This is because the chamomile plant offers a calming effect on the nerves, which reduces tension in the body. There are two types of chamomile oil—Roman chamomile oil and German chamomile oil. Both have anti-inflammatory, carminative, and analgesic properties to treat pain from damaged nerves, inflammation, gas, and sore muscles and joints. However, Roman chamomile is usually used on children as it is milder than the German form, which contains powerful flavonoids to treat inflammation. Chamomile oil is used to treat digestive issues, muscle spasms, nerve pain, hemorrhoids, ulcers, inflammation, irritation, and skin conditions such as eczema. Peppermint oil is a combination of watermint and spearmint. It was one of the first natural substances to be used as a medication. The cooling sensation of peppermint oil comes from its menthol component, which eases tense muscles and nerves. Peppermint oil offers anti-inflammatory, antispasmodic, antifungal, and decongestant properties to treat muscle and joint pain. It helps to reduce muscle, joint, and nerve tension associated with intestinal issues, stomach cramping, back pain, headaches, indigestion, blocked sinuses, nausea, and arthritis. Once you get past the overpowering aroma of eucalyptus oil, the potent components will win you over. This oil comes from the leaves and bark of the eucalyptus tree. It has anti-inflammatory, antibacterial, antioxidant, and analgesic properties to combat various ailments that cause pain. Eucalyptus oil can soothe anxiety, block nerve pain, lower high blood pressure, unblock clogged sinuses, and reduce inflammation. 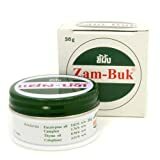 It is used to treat arthritis, injured muscle tissue, headaches, insect stings and bites, joint pain, sinus pain, and post-surgery pain. The herbal remedy thyme is one of the common essential oils for inflammation. Its anti-inflammatory, analgesic, and antispasmodic properties treat both mild and severe pain. Thyme essential oil can help treat inflamed joints, back pain, muscle pain, and abdomen pain such as menstrual cramps. The same rosemary herb used to flavor dishes and restore the loss of appetite is used to treat pain. Rosemary essential oil has analgesic and anti-inflammatory properties to combat achy muscles and joint pain. It stimulates proper blood circulation which can trigger pain if hindered, such as with rheumatism. The oil extracted from the berries and leaves of the juniper tree have long been used for their antiseptic, carminative, antirheumatic, and astringent properties. Juniper essential oil treats pain caused by arthritis, infections, emotional stress, muscle fatigue, tense nerves, indigestion, intestinal gas build up, and gout. It is commonly used to treat the colitis pain and hemorrhoids. Wintergreen essential oil was once used for treating internal issues involving the bladder and digestive system. But nowadays, it is only used as an external treatment because of its high potency. Wintergreen essential oil has analgesic and cooling components to treat muscle and nerve pain effectively. Use the oil for stiff joints, headaches, arthritis, lower back pain, aching muscles, and to relieve tooth pain. Cayenne essential comes from cayenne pepper seeds and is a spicy oil. It contains capsaicin to block pain transmitted from the central nervous system. So, it treats pain at the nerve endings, such as with the shingles condition. Cayenne essential oil also treats arthritis pain, diabetes, migraines, back pain, and menstrual cramps. 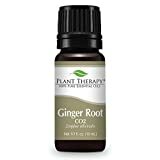 Plant Therapy Ginger Root CO2 Extract. 100% Pure, Undiluted, Therapeutic Grade. 10 ml (1/3 oz). Ginger essential oil has anti-inflammatory and analgesic properties to help treat the pain resulting from autoimmune disorders such as lupus, multiple sclerosis, and rheumatoid arthritis. This is due in part by a component in ginger called gingerol. Other painful ailments that may benefit from ginger essential oil include tense muscles, sore and inflamed joints, menstrual cramps, and nausea. Sandalwood oil is one of the best essential oils for muscle and joint pain inflammation. It has sedative, anti-inflammatory, analgesic, and antirheumatic properties. It can help prevent spasms and works to calm the nerves resulting from headaches, anxiety, and stress. Frankincense essential oil has antiseptic, anti-inflammatory, and carminative properties to treat the pain of various ailments and disorders. As one of the more common pain-relieving essential oils, frankincense targets tense muscles to treat menstrual pain, joint pain, abdominal pain, chest pain, sinus pain, and nerve pain. As it can help repair damaged or injured nerves, it is used by diabetics to treat foot infections. Marjoram essential oil comes from the sweet marjoram plant and has a sweet pine and citrus flavor when consumed. It has anti-inflammatory, analgesic, sedative, and antispasmodic properties to target muscle spasm pain in the abdomen, hands, arms, legs, and feet. Marjoram oil is also used for headaches, rheumatism, osteoarthritis, and tooth pain. Clary sage essential oil is often used to treat eyes issues, but its analgesic and muscle-relaxing properties can combat pain in other parts of the body. The oil can be used to treat stress-induced headaches, as well as reduce abdominal spasms and cramps during menopause and menstruation. It offers a calming effect on anxiety and stress that can cause pain. Many of the essential oils we have discussed for pain are high in potency in their purest form, so they should be diluted before using them. Some essential oils are not advised for use in cases of pregnancy, nursing, and in young children. You may be able to increase the health benefits of essential oils by blending certain oils to help with a faster recovery time. Here are some carrier oils that you can use as a dilution with essential oils. Coconut oil: Has analgesic and anti-inflammatory properties. It is used to help permeate the skin surface for quick pain relief. Jojoba oil: With anti-inflammatory components, it works like the natural sebum our body produces to protect the skin. It too can help the skin absorb essential oils. Extra virgin olive oil: Helps to treat inflammation and pain. Castor oil: Works as a natural analgesic like capsaicin and has anti-inflammatory properties. Use these oils as a carrier oil to dilute essential oils and treat conditions of inflammation, as well as muscle and nerve damage that leads to acute and chronic pain. Here is how to use your favorite essential oil for common ailments. Use four drops of any essential oil with one tablespoon of a carrier oil to create a topical solution. Combine them and apply the concoction directly on the temples, and gently massage for a few minutes. You can also use the essential oil in a vaporizer or diffuser for an inhalation treatment. Add a few drops of essential oil to a basin filled with boiling water. Place a towel over your head and shoulders and lean over the basin to inhale the steam. Inhale for 10 minutes and repeat after refilling the basin with boiled water and fresh oil. Draw a warm bath and add several drops of a mixture of an essential oil and a carrier oil. Soak in the tub for 15 to 20 minutes. You can add two to three cups of Epsom salts to the bath water as well. Simply combine a few drops of essential oil with a carrier oil and massage on the affected body part. Add a few drops of an essential oil to hot water and soak a cloth to place directly on the sore joints. You can alternate between a hot and cold cloth to address the pain and stiffness. The use of essential oils for pain is not a new process but one that has been around since ancient times. Oils are extracted from the leaves, buds, and seeds of herbal plants and trees to treat pain caused by inflammation, infection, injury, and trauma to the tissues of muscles, joints, and nerve endings. There are essential oils intended for almost every pain associated with ailments, diseases, and disorders. Understanding the properties of various essential oils, as well as knowing how to use them, can help speed up the recovery time and alleviate the associated pain. Hills, J., “The Top 20 Essential Oils to Relieve Pain and Inflammation (Research Based),” Healthy and Natural World;http://www.healthyandnaturalworld.com/essential-oils-to-relieve-pain/, last accessed August 10, 2017. “Best Essential Oils for Pain Management – Back, Nerve, Neck, Shoulder & Knee,” The North American Essential Oil and Aromatherapy Experts, June 12, 2017;https://essentialoilexperts.com/essential-oils-for-pain/, last accessed August 10, 2017. “Essential Oils for Pain and Inflammation+The Best 7 Essential Oils For Instant Pain Relief,” ExtraWellness, July 20, 2017; http://www.extrawellness.net/best-7-essential-oils-for-instant-pain-relief/, last accessed August 10, 2017.